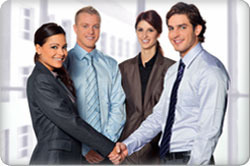 Magnet Personality Enhancement Academy - Service Provider of personality development courses, dining etiquette & communication skills / public speaking in New Delhi, Delhi. Not all are blessed with a really charming and attractive personality by birth. Personality is not just about plain physical features, but the way you dress and present yourself, the way you speak and also the words you choose to say out depict almost everything about your actual identity. All of these aspects themselves depend upon a number of factors and instances, which start right from the birth of every individual. It is true that every individual in unique by his own means, but the road towards personality development is usually similar for many. Developing strong character depends upon a person, and he would usually bank upon all the aforesaid factors to determine the path he would take towards empowering it. Having positive thoughts within oneself always helps. If you have thought of a goal for your life and you are willing to put in your entire efforts to achieve it, you would need a proper guidance for that. A good mentor is yet another major factor in helping you reinvent yourself and explore the immense possibilities that you have within yourself but you never really knew about them. The number of occasions for holding out a dining party could be many. It could be because you are getting married very soon, or have got married recently. Then there could be other reasons as well such as someone’s birthday, parents’ anniversary, best friend’s engagement and so on. 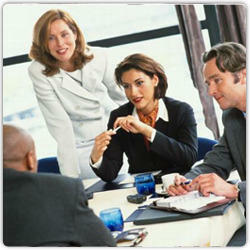 Even these days a number of business meetings are done during luncheons and dinner. At all those events, it becomes necessary for a person to host a dinner outside or lest be a part of it when someone else is hosting it. With time, it is not only important to eat at the finest of restaurants and hotels in town, but also maintain the right kind of dinner etiquettes while being a part of it. Quite lately, it has become almost of a trend to maintain such etiquettes, even when you don’t really want to be a part of them. It has also become a mandate to follow them even when you are out with your family for a casual dinner. Not having the right knowledge about dining etiquettes could leave you embarrassed. As opposed to what you perceive about it, learning these etiquettes is really not a rocket science. You of course could use some help though. We understand just how much important it has become today to leave a lasting impression, and that one needs to give in really hard efforts to achieve it. We strive to ease that additional stress off you, by providing you with a program that will cover all the aspects of dining etiquette. Right from picking up the napkin to use a fork, and which hand to use to hold it, and also how to hold it, we teach them all to you. With us, these things will not only happen to you forcibly, but will come to you naturally. Within a few weeks, you will be able to find that you will actually be noticing others make those mistakes that you used to make sometime in the past. You will feel of yourself as a trend-setter, and this will also add much more to your confidence levels. We also teach you that dining etiquette not only begin and end on the table itself, but they also happen when you are off it. We teach you to stay calm and look positive no matter what the situation is. Our tried program is intended for you only, so we also amend it as per your personality so that you always feel comfortable while carrying out the tasks, the results for which will become evident to yourself and to the people around you in no time! Gone are the days when your specific skills alone were enough to get you recognition. In today’s modern world, one needs to have good communication skills as well in order to leave a lasting impression on his target audience. While public speaking is mostly related with speaking while on a stage, it has got a lot more to do than that. In fact even while you are attending a conference call, or when you are in a face-to-face interaction with a client, it is the intensity of your response and the quality of it that actually makes an impression upon the person forth you. If you look around, you will find a number of sources where they train people to become more confident about their personality, speak more enthusiastically, and even walk in a confident manner. While all of these are very relevant aspects, they are not just all, not to forget mentioning the fact that such training programs are usually carried out via booklets, on-day workshops and instant training programs. The time duration given for these is very less, and booklets are not as much helpful as a live person is, which is why not many are able to get the right kind of benefit from them. Communication skills too matter a lot in just about every kind of industry today all over the world. If you have to make a really solid impression on the person in front of you, you need to be really fluent in the language that you choose to speak. For professional purposes, English is the language that is being used in India, so you really need to have a really good grasp on it. It is said that if you can just speak English, you can do just about anything! It also boosts up your confidence and actually makes you look like a standout in crowd. The first barrier in every speech or conversation is the very first line that you choose to speak. Regardless of what you choose to speak on, you must always exhibit a sense of confidence in yourself. If you are one of those who give presentations quite frequently ,you have to prepare well for it. Many people get sleepless nights just by thinking about this. But that’s the reason why we are so confident that we can help you out. Our program also includes the methodology to improve your communication skills and bring out an all-new person from within you! Confidence is the key to Success. It is very important to believe in yourself. Your confidence is reflected in each and everything which you do in your life. The way you talk, the way you walk, the way you dress, the way you meet and greet others, the way you take challenges in life…….the list is endless !! Confidence is about speaking to the person in front of you, both verbally as well as non-verbally. A person may be good in striking a conversation, but he may lack the confidence to keep his body straight while doing so. Then there are others who stammer while speaking, or they speak with so less intensity that the person forth him can hardly understand him. There are others too, who only speak because they want to gather attention and not actually strike a meaningful conversation. These are some of the most common signs of low confidence in terms of verbal communication. Having self belief is the key to confidence building of an individual. If a person realizes his true potential and is not afraid to say what’s on his mind, he definitely will turn out to be a confident person. You first need to change your perception about yourself, before you make others do it for you. Talking to yourself by standing in front of the mirror is also a good practice that can give you a major boost towards your goal of confidence building. 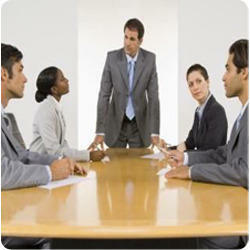 It is always important for every person whether working with a corporate or an entrepreneur to make a name for himself and for his business.For achieving this, one would always put in his best available resources and ensure that he personally supervises the entire operation, so that his expected target revenue could be achieved. But one thing that most of the businessmen of today miss out from is considering the personal touch in their ways of working. 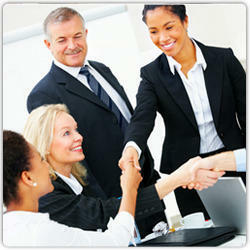 Business etiquette is what this personal touch could be generally termed as. If you want to get business from the person in front of you, there are certain business etiquette guidelines that you must never miss out on. These business guidelines may very well work in your favor if you intend to follow them whenever you go for a client meeting. Leaving a lasting impression always counts, and it is always your first impression that your client will always remember, and will only consider it before dealing with your again in future. Always reach the venue on time: You really won’t like to make someone wait because you had some other priority, or maybe you got stuck in jam. It’s better to reach half an hour earlier because this will give your client a solid hint that you really appreciate his business. Be good with names: If your client has introduced you with some colleague of his own, or maybe his superior who otherwise won’t be dealing with you, make sure that you always remember their names (You sure won’t be forgetting name of your client. Communication: One must make sure to reply back to business emails and phone calls at the earliest. 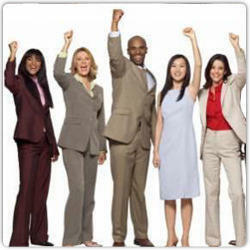 These are considered as professional manners and will do your business a world of good. You must also ensure switching off your mobile devices when you talk with your client, because then you will be able to keep yourself focused too. Image consultancy is an essential tool for guiding individuals towards a successful representation of themselves through personal appearance, appropriate behavior, confident body language and excellent etiquette. Whether you need assistance defining your personal style, updating your wardrobe or enhancing your image to reach personal or professional goals, MAGNET Personality Enhancement Academy is at your service to help you make your mark. Together, these elements are what gives an individual their unique charisma, personal power and success in all areas of their lives. 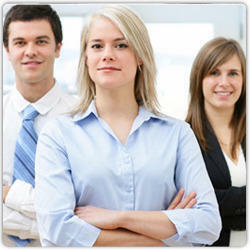 An Image Consultant empowers you to give your first impression a serious thought, every morning. We will train your eyes to pick the right thing for yourself, according to your skin tone, face shape, body type and not to forget, your budget. Understand the life and goals of our customers and how to compliment their image to help them increase their chances of a promotion, improving their social life, or simply attain any goals they have set for themselves.